Wheelchairs have come a long way, since the first known examples were used to transport people in wheelbarrow-like devices in third century B.C. China. They initially were used to move different types of heavy loads, and adapted to include people. It’s not until about 500 A.D. that we see the use of chairs with wheels designed specifically for use in transporting people. Earlier evidence exists, however, of the use of wheeled furniture. The image on a Greek vase, dated approximately 530 B.C., shows a child lying on a bed with wheels fitted on the legs. The fact that the wheel and the chair were two of man's earliest inventions, dating back to 4000 B.C., it's amazing that it took so long to put the two together. Chariots with spoked wheels date back to 1300 B.C. 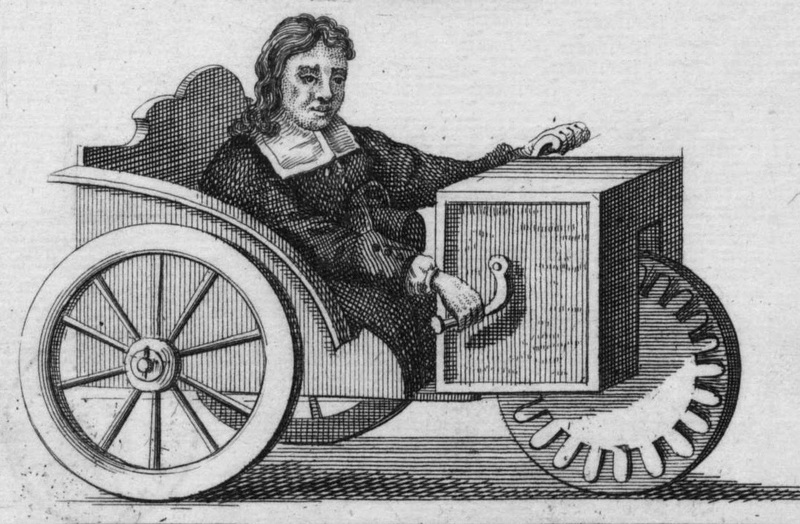 China, but it wasn't until the 16th Century (1595) that the first "dedicated" wheelchair is believed to have been developed. 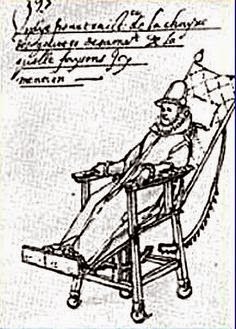 Called an invalid's chair, this device was designed for use by King Philip II of Spain. This was a somewhat elaborate chair that featured a reclining back and moveable armrests and footrests. It had four small wheels, one on each corner leg. Who'd have thought that the first self-propelled chair would have evolved into today's hand-crank racing, wheelchair apparatus? It was developed in 1655 by German watch and clock maker Stephen Farfler for his own use as a paraplegic. Farfler's chair utilized three wheels and a hand-crank resembling a bicycle pedal-crank. It looked more like a 1950's pedal-car than a chair but, it’s not all that different than the hand-crank racing wheelchairs used today by athletes in competition. With the 1932 invention of the first folding wheelchair, by the founders of the now world-renowned manufacturing company Everest & Jennings (E&J), it became possible to easily transport one's wheelchair to different locations. The development of the folding chair was spurred on by the desire of Everest, who had broken his back in a mining accident and became confined to a chair, to have a unit that was collapsible and could easily be transported in an automobile. From there came the first steel, lightweight, folding wheelchair. Interestingly, because of the widespread use of the automobile at this time, many more serious accidents began occurring - which created the need for more and better wheelchairs. E&J, seeing the practicality and opportunity represented by their design, became the first to mass market wheelchairs and dominated the industry for decades and is still in business today. 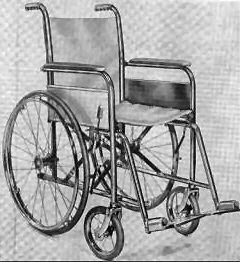 Today's wheelchairs can be found in every configuration, from simple examples similar to what E&J first marketed in the 1930s to "Smart" chairs that are computer controlled with mobile robotics. 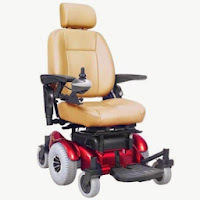 There are wheelchairs that can climb stairs, transport the user in a standing position, traverse the most rugged terrain or be operated by a puff of air from the operator's mouth. Most are simply a choice between manual or motorized and if you ask us, the choices seem limitless. science improves a lot, who know what comes next? That hand crank wheelchair looks super fun. I have a modern wheelchair that is common to today's time. Currently, I am in the market for any outdoor products that I can adapt to my chair to help me go hunting.